The con in quaint River City was beginning to work. Robert Preston, as roguish professor Harold Hill, had sung a few early numbers and won over the school board and mayor’s wife when, suddenly . . . The screen in the lower-floor auditorium at the Kansas City Public Library’s Plaza Branch went dark, and the strains of Dixieland jazz filtered in. A Sunday afternoon showing of The Music Man had hit intermission. 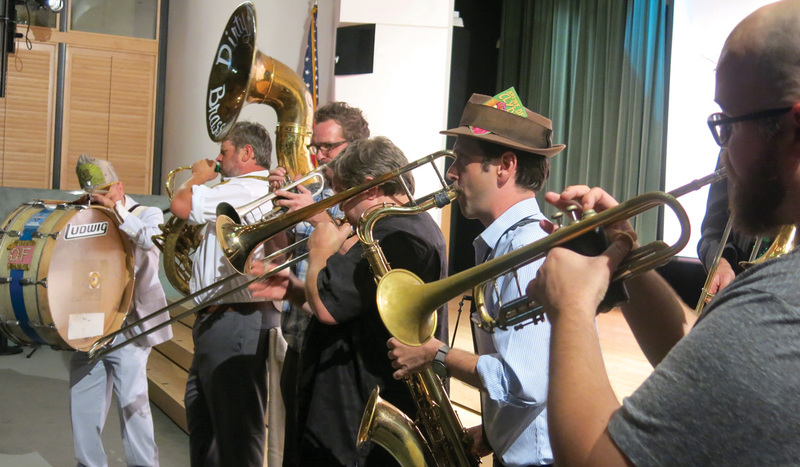 Through the doors marched trumpeters, trombonists and the rest of the nine-man Dirty Force Brass Band, delighting an audience of 60 or so people who swayed, clapped or lit up smiles as they took in the spectacle. This was no ordinary movie matinee. Part of the Library’s Movies and Memories series, it was tailored to people with Alzheimer’s disease and other forms of dementia and to their family, friends and caregivers. “It’s about providing an outing for folks who sometimes feel isolated or are stuck at home and unable to do the things they enjoy,” says Plaza Branch Director April Roy. There are few, if any, programs like it in the country. Launched in March, the cafés are part of a nationwide initiative. Both they and the movie series are held at the Library’s Plaza Branch, and offer what Katherine Rivard of the Mid-America chapter of the Alzheimer’s Association says are vital opportunities for social engagement. “It has been shown to reduce the risk of dementia, but also is important once you have the disease,” says Rivard, the chapter’s manager of community outreach and volunteer engagement. “Scientifically, I don’t think we know yet why that is. We just know it correlates with a kind of better day-to-day experience with the disease. The Alzheimer’s Association has been working to create more dementia-friendly communities nationwide. The need, unfortunately, is rising. An estimated 5.7 million Americans now are living with Alzheimer’s, including some 50,000 in the greater Kansas City area. The latter are looked after by about 200,000 caregivers. 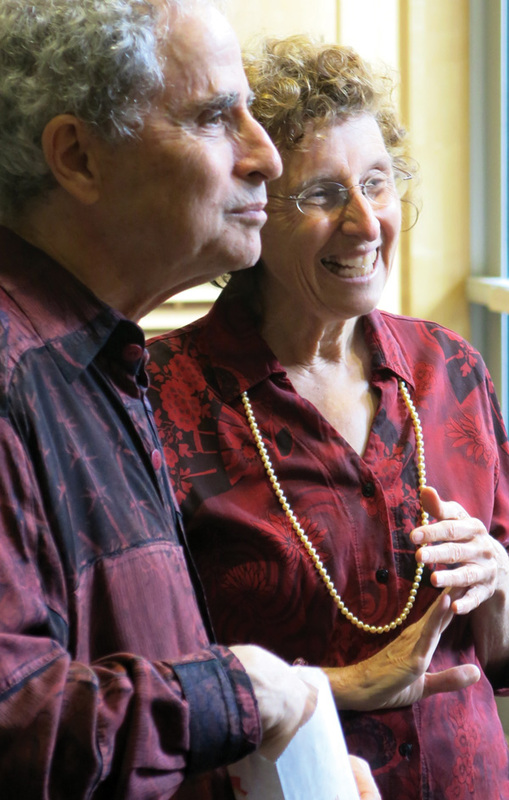 The Mid-America chapter was reaching out to banks, hospitals, the zoo, symphony and other local institutions and organizations when, at one point, it connected with author and dementia advocate Deborah Shouse and her partner, Ron Zoglin. 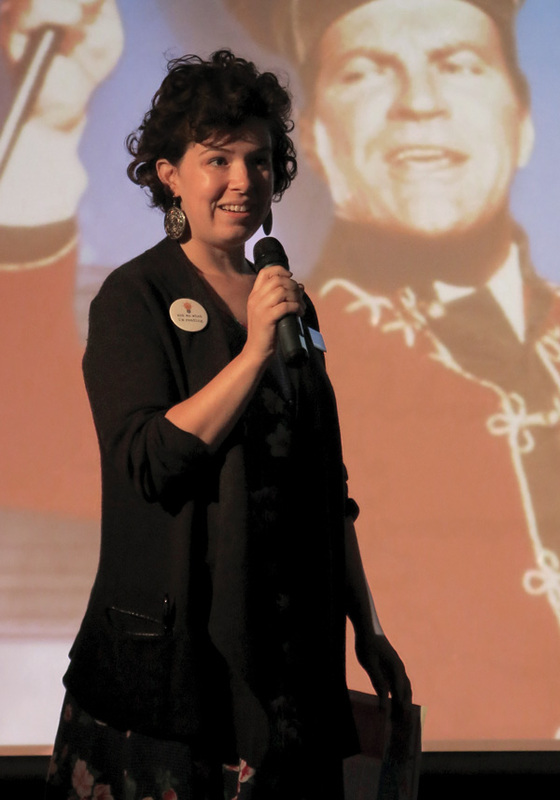 Shouse, in turn, approached the Library with a proposal for the Movies and Memories series. 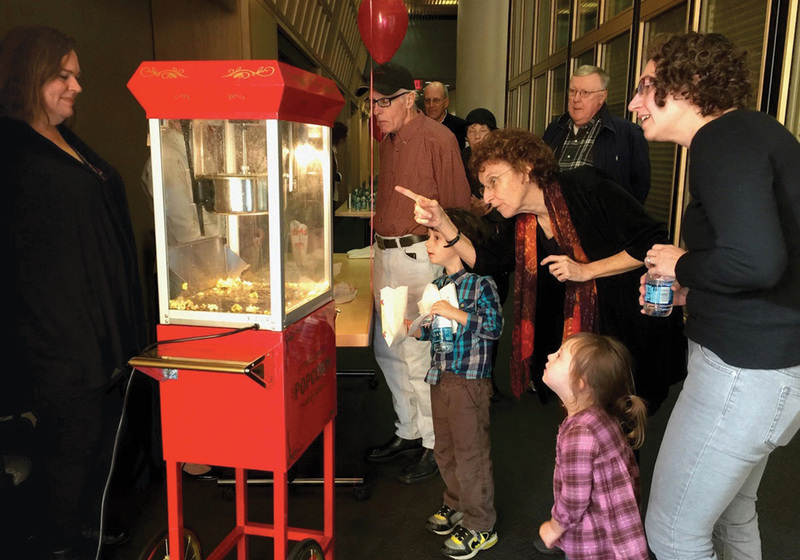 The program offers a multisensory experience: movies or film clips with built-in breaks for activities or discussion, live music and the smell and taste of fresh-popped popcorn. You’ll hear no movie theater shushing — expectations of quiet are relaxed — and there are plenty of volunteers to offer directions, answer questions, or guide conversations. It’s all free. It’s all family friendly. The first event featured a screening of The Red Balloon, the acclaimed, nearly wordless comedy-drama about a young boy in Paris who discovers a stray balloon with a life of its own. It drew an audience of 95 in November 2016. A Valentine’s Day-themed program featured a series of romantic shorts and ballroom dancing demonstration. An Oscar-themed program this past February offered three Academy Award-winning or nominated shorts and live music from the KC Boys Choir. The KC Memory Cafés are held the third Tuesday morning of each month. They’ve featured visits from exotic animals from the Kansas City Zoo, an assortment of Kansas City Symphony instruments that attendees were invited to play and experts from the Overland Park Arboretum and Ruiz Seed Library, who examined different plant varieties and sent each attendee home with cup of newly seeded marigolds. Movies and Memories events are drawing an average of 65 people, the cafés a little more than 40 a month. Roy, Shouse and Zoglin are spotlighting the movie series in a presentation at the Missouri Library Association’s annual conference in Columbia in October, offering guidance on how to replicate it. “I think it’s something that could catch on,” Roy says.